Starting your daycare center represents short-term and long-term challenges. A lot of preparation and execution goes into operating a daycare that enjoys continued success. Strategically organizing your center and surrounding yourself with a great crew of child care professionals is a good place to start. Learning how to run a daycare isn’t something that can be done without a particular desire to succeed and a passion for child care. At Procare Software, we strive to encourage and enable child care professionals with all of the tools they need to enrich the lives of their students. Starting a daycare presents a huge time and financial commitment. The following 10 tips are meant to provide some guidance on how to run a daycare with long-term success in mind. Before jumping headfirst into running your daycare, it’s essential to know what you are up against. Figuring out how to run your daycare starts with knowing the market demands. What is there a need for? Identify how you can fulfil those needs. 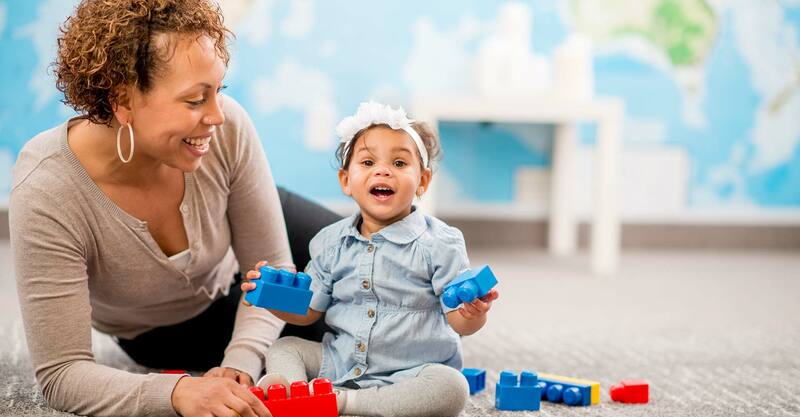 There are a variety of different roadblocks that may present issues when you are getting your daycare started, and they may continue to be a thorn in your side while you build towards long-term success. Getting past these trying times, whether they are financial or structural, will make the long-term success more enjoyable for everyone in your organization. Ultimately, your daycare is a service for parents who trust you with the safety and development of their children. Collecting feedback on a regular basis and keeping your finger on the pulse of the day-to-day will help you improve your daycare and set it up for continued success. Consider what your goals are as you map out your financial game plan. Neglecting important deadlines or milestones can cause problems that a strong business plan would help avoid. Regularly circling back and staying the course will keep your daycare on the path to long-term success. Your staff should be an extension of your passion for child care. They should share a desire to achieve the same goals that you set out to achieve when you opened your daycare. If you are concerned with long-term success, maintaining a staff that you trust to represent your values will make everything easier. The child care professionals who you hire will become the backbone of your daycare. All staff members should be required to have certain trainings and certifications. Invest in them as professionals and as people. Regardless of the role you take within the organization, the staff you surround yourself with become a reflection of yourself. They interact with the children and parents and create impressions that could last a lifetime. This seems like a no-brainer, but it’s worth mentioning. Every aspect of your daycare should be pristine and without any safety hazards. Our upkeep is similarly essential to maintaining a nurturing environment. All of the toys and equipment should be checked on regularly and don’t hesitate to remove anything that might be questionable. Whether it’s your daycare’s facilities, staff, customer service, extended services, or curriculum, there should be a value to parents and children that other daycares can’t compete with. Setting yourself up for long-term success means separating yourself from the pack. Daycares that don’t provide any unique value are largely interchangeable. This works hand in hand with our first tip, which talked about assessing the market you are entering. Don’t be a stranger. Parents should be completely comfortable with their child care providers and it’s important to put yourself in their shoes sometimes. Word-of-mouth is one of your best assets and building a relationship with parents can help the positive reviews spread around town. Without repeat customers helping to bring in new customers, long-term success will be a struggle. This extends to all aspects of your daycare. If you want to run a daycare successfully, you can’t trap yourself in a routine that might be leaving value on the table. To produce the best results, you will need to revamp your curriculum, facilities, and overall strategies whenever necessary. On a more personal note, every child is unique and catering to their needs as best you can will lead to long-term success. Parents will appreciate the effort, and the children will continue to grow and develop within your daycare. Setting your daycare up for long-term success is a challenge, but these tips can help guide you in the right direction. Providing the structure that children need and parents desire will be valuable in the present as your daycare center thrives and cultivates an environment that fosters healthy, happy kids. Looking for ways to automate and organize your daycare center while you get it off the ground and build it up for the long-haul? Learn how Procare can help!